Many wonder what is Hotel Concierge? Once the term concierge is used for senior management position. In Some European hotels still the concierge department is considered to perform many managerial duties. But in North America, the concept has been developed; the concierge is evolved into general assistance personnel. Some hotel chains have attached a specific room configuration to the concierge which is referred as concierge floor. The concierge floor offers an improved room configuration to hotel guests as well as access to an exclusive lounge area. In order make access in the concierge lounge; it may require a key of guest room. The concierge employees will perform their duty in the lounge area or they may be located in the lobby itself. But some hotels require concierge’s presence in both areas. 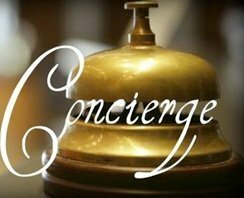 The concierge department is assigned to help the guest during their staying in the hotel and assists them to resolve any sort of problem. For example the concierge handles their mail, and pass any special request from guest to the front desk or other hotel staffs, they also concern about the accommodation problem. Traditionally the concierge was defined as a castle doorkeeper, who was in charge to ensure that all guests were properly roomed for the night. But today the responsibilities for a concierge have been increased in many ways; they are assigned for every single matter, from picking the guest’s luggage from their arrival place to help them in everything during their stay. But for fulfilling the guests request there is a particular department, the guest service department which deals with everything that is related to guest’s satisfaction. For example the guest service department concerns with shopping arcade along with guest’s specialty shops, they provide suggestions for restaurants that are off premise, bought tickets for theater, help in making reservations and so on. The guest services department may comprises of a single person, the concierge, or all employees of that department of employees including the concierge assistant, the bellperson, the bell captain, the luggage taker and the doormen. Generally, the concierge has to report to the front office manager. The concierge assistant, bell captain, and doorman report directly to the concierge personnel. Record messages for guests and passing those messages to the guests. Handle all guests’ information, mail, parcel, couriers. Answer any queries regarding hotel amenities and places of tourist interests. Keep information aids like time-tables, road maps, hotel guide, and so on. Manage box office tickets for cinemas, concerts, special shows etc. for the guests. Coordinate with the bell boys to page guests in the hotel. Develop contacts with city services to help guests. The concierge personnel are a very resourceful person for the hotel as well for the guests. Concierge personnel have to make contacts with other parties for fulfilling the guest’s need, such as tourism companies, event management companies’ etc. He or she is able to provide any information to guests that are related with hotel. A skilled concierge is required to speak many languages so as to overcome the language obstacle with the guests. Even for building the hotel reputation and increasing the number of returning guests the concierge play a vital role. The concierge department sets up actions and policies for guests and prepares job descriptions and procedures, training manuals, for all concerned sectors who provide guest services, including bell service, guest paging and package handling, doorman service, guest tour and travel services, and any other special guest requirements. Sometimes the concierge also has to perform additional responsibilities, such as helping guests in fulfilling some guest service that are unscheduled (ex-managing theater tickets, sightseeing tours or car rentals), cooperating with the senior assistant front desk manager, the assistant front office manager, and other departments, directing and organizing the guests car parking, and supervising the laundry manger to provide better laundry and valet service. I used to a concierge for thirteen years. Several people does not know about what concierge is and what services concierge provide to guests. Even many hotel employees don’t know what concierge is and this is a very good material. My appreciations to the people who contributed this material.